I love kimchi. I hadn’t thought about making it myself in years. I would always just buy a jar or eat it only in Korean restaurants. When I was a kid, my Dad tried some kimchi making experiments. I remember an enormous jar, and trips to the Korean grocer. I remember a funky smell. I remember grinding his hot pepper powder for him and getting a bunch up my nose. I sneezed so many times I lost count. 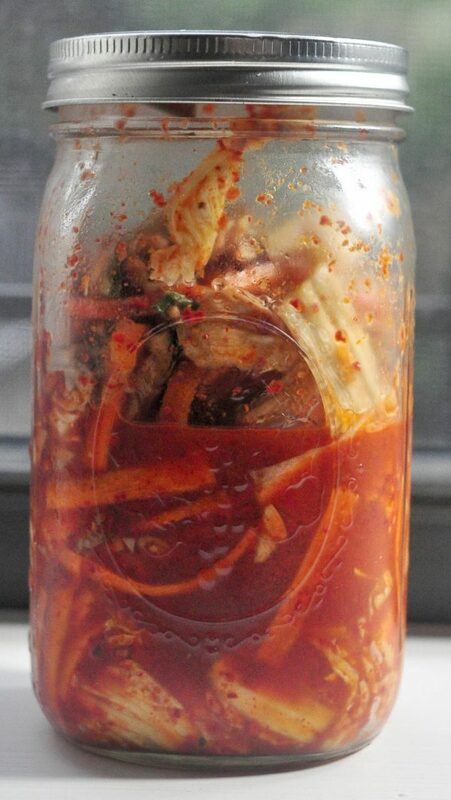 A while back a friend made me a jar of kimchi in return for a jar of pickles I made her. 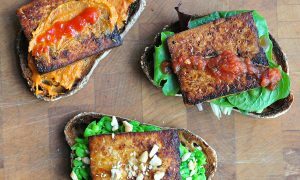 It was so crunchy and gingery and awesome that I asked for the recipe. Since I’m no kimchi expert I thought I would share it with you. 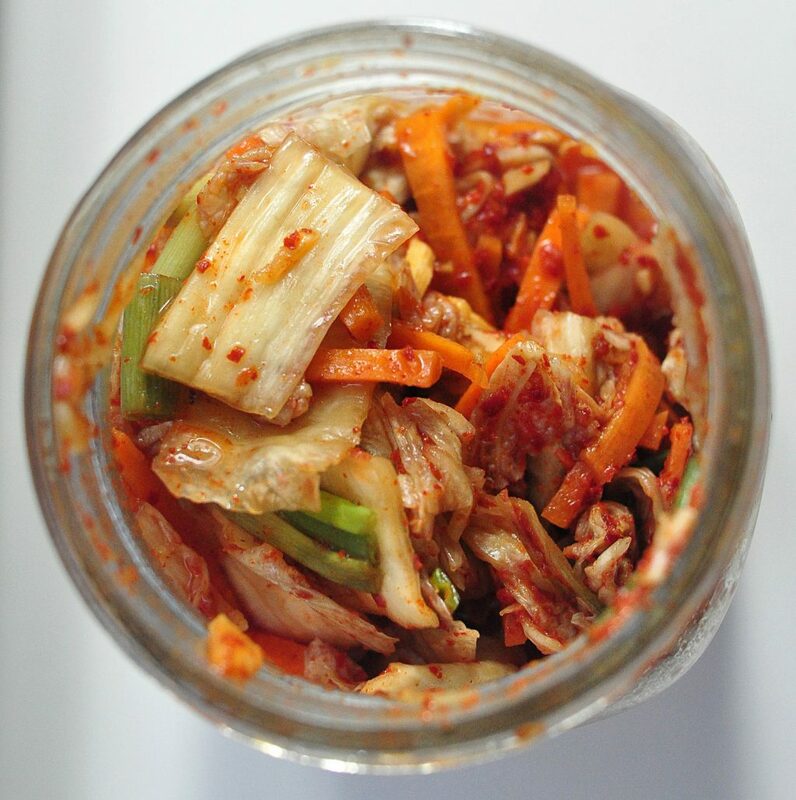 It is a great recipe for classic Napa cabbage kimchi courtesy of Chowhound. I’m extremely happy with the results and the process is so straightforward that I will probably riff on it in the coming months. Kimchi is great with rice or in Bibimbap or any number of traditional Korean dishes of course. Of course. 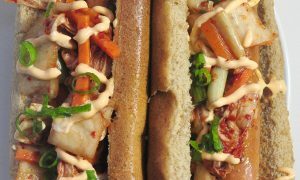 But, like any great condiment it is actually delicious on all kinds of things you might not normally associate with kimchi. It’s sour and spicy and crunchy. It’s great on nachos, scrambled eggs, anywhere you would put a slaw, in tacos, with roasted chicken, on top of soup. I could go on. 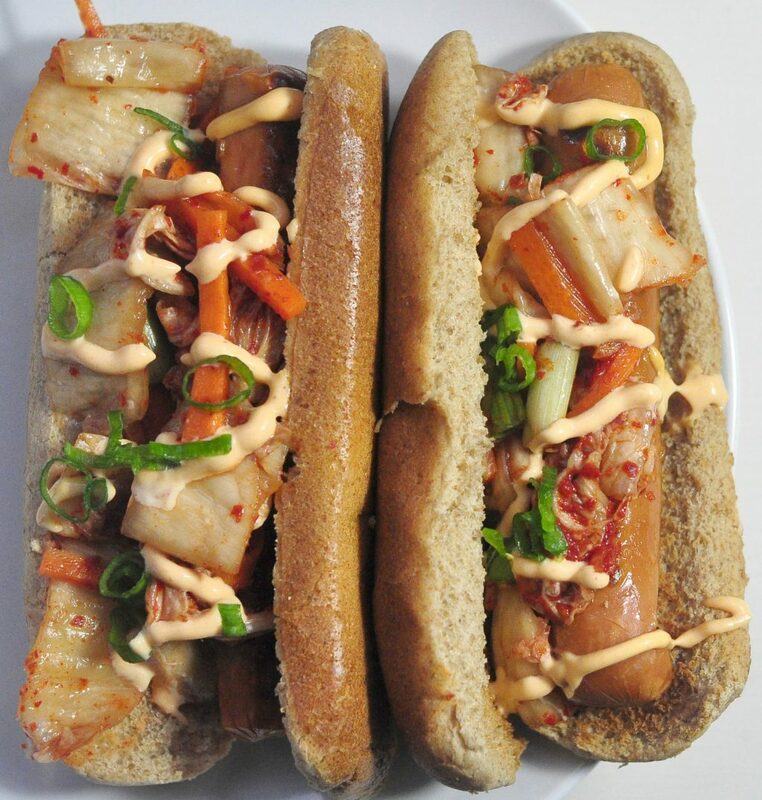 My current favorite thing to do with kimchi is put a whole lot of it on a hot dog. Well okay, these are veggie dogs I’ll admit. But I know it would also be good on the traditional variety. You really have to pile it on. Add some mayonnaise mixed with Sriracha as well for maximum effect. Dig in! Below is a slightly adapted version of the Chowhound version. An adaptation of a basic napa cabbage kimchi recipe. Cut the cabbage in half lengthwise, then crosswise into 2-inch pieces, discarding the root end. Place in a large bowl, sprinkle with the salt, and toss with your hands until the cabbage is coated. Add enough cold water to just cover (about 12 cups), making sure the cabbage is submerged but it's okay of some leaves poke out. 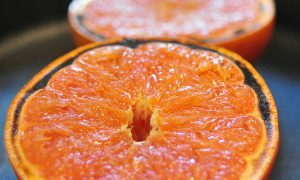 Cover with plastic wrap or a baking sheet and let sit at room temperature at least 12 hours and up to 24 hours to get nice and salty and preserved. Drain the cabbage, by pouring the cabbage into a colander and rinse with cold water to get the excess salt off. 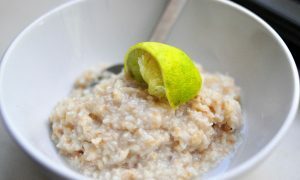 Gently squeeze out the excess liquid and transfer to a bowl; set aside. 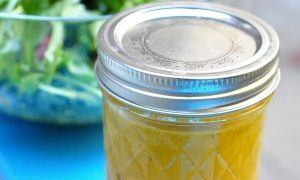 Pack the mixture tightly into a clean 2-liter glass jar with a tight-fitting lid and seal the jar.